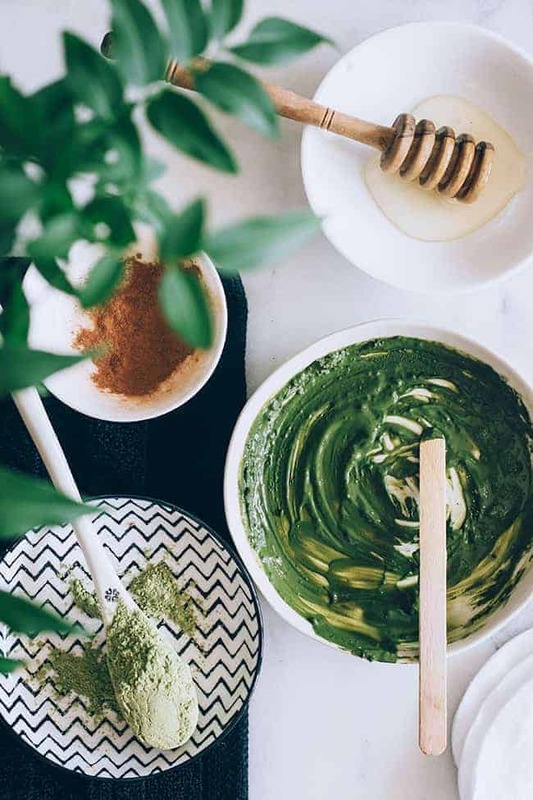 Using Geisha beauty secrets that date back centuries, this matcha green tea face mask and salted cream body scrub will rejuvenate your skin without needing a drop of nightingale poo (or any other unsavory traditional ingredients). My curiosity for all things Geisha started when I visited Japan on a student exchange. Part of me was stunned by the lengths these living artworks went in the name of beauty and another part of me wanted to know all their secrets. Yes, apparently the Geishas used nightingale poo to exfoliate the skin, but I suspect it might hold the world record for being the worst-smelling beauty treatment of all time, so I prefer to use other options. Green tea, on the other hand, is all-round awesome. It is seriously one of the best things to put on our faces in summer. Its fancy-pants polyphenols help protect the skin from the sun, while the catechin gets to work purifying and amino acids go forth and fight aging and sun damage. See what I mean – there’s a lot to love. And drinking green tea will do you a world of good, too. Matcha is the big daddy of the green tea world. This bright green powder contains 10 times the nutrients of other teas and as such, it’s honored in Japanese tea ceremonies. Honey soothes, cinnamon stimulates blood flow, while sandalwood essential oil nourishes, making this combination a wonderful skin rejuvenator. Mix in a bowl, adding the water slowly until you reach a consistency thick enough to apply. Apply to face (avoiding the eye area) and neck and relax for 20 minutes. Rinse off, tone and moisturize. Cream is a special treat for the skin. The lactic acids and fats nourish, improve texture and are thought to stimulate collagen production. Vanilla not only smells heavenly; it is a great skin healer and protector. In the shower, apply salted cream scrub in vigorous circles all over the body. Rinse off and quickly check how soft the skin is. Reapply to any areas that may have been missed or need a little extra help, like elbows and knees. What kind of cream should I buy? & If so, do you know where I could buy it? Hello, which vegan replacement for honey you would recommend? This is incredible! I drink matcha green tea but never thought to use it as a mask. I am all for this idea and will be trying it out when I repurchase my matcha! You literally have the best beauty DIYs and capture them so beautifully! 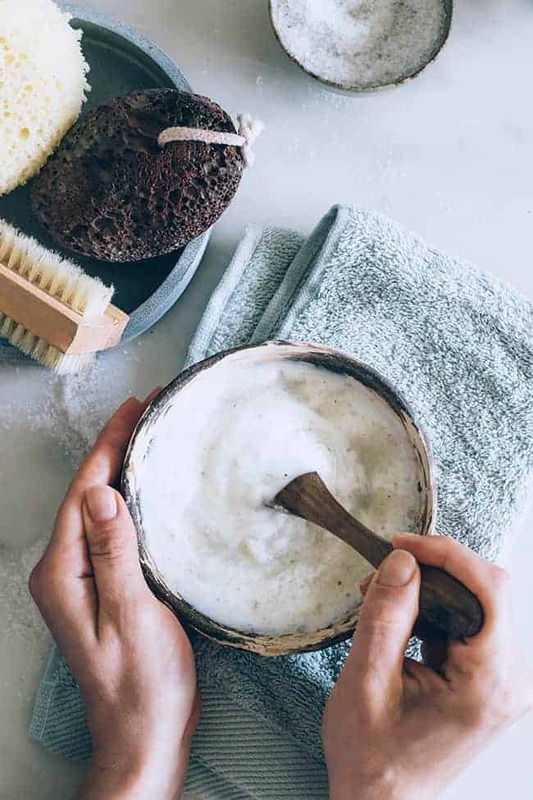 Will definitely have to try the matcha scrub! Important: This version of the server program solely works with app model 1.zero.6 or newer. How long can the mask be stored for? Sounds so good! What kind of cream am I using? oui puis je trouver cette creme et que signifie cette crème gheisha???? c’est quoi cette creme gheisha et oui pusi je la trouver svp??? Hi do you think that hemp powder can be used instead, the Match tea? Looks fantastic! Great recipes and I really like the styling. Could you please tell me what kind of brush that is in the facial photos? How is it used? I am having a lot of trouble with my skin right now – it’s not exfoliating well and that looks like maybe it could help…? That is not a facial brush. That is a matcha tea stirrer. Oh, wow, I can’t wait to try these, and I’ve got most of the ingredients! I’m fascinated with geisha and other aspects of Japanese culture. Your photographs are absolutely stunning too! Rosemary is great for rebalancing the skin. Awesome. Geisha salted cream scrub. Can this scrub recipe be stored? It’s best fresh, but would keep in the fridge for a couple of days.